An 11”x14” print of Torsk as she appeared from 1944 to 1951. 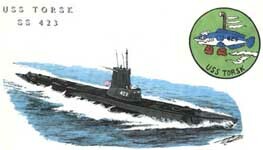 By Tom Denton, United States Submarine Veterans, Inc staff artist. 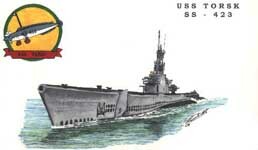 An 11”x14” print of Torsk as she appeared from 1952 onward, after the Fleet Snorkel conversion. By Tom Denton, United States Submarine Veterans, Inc staff artist. 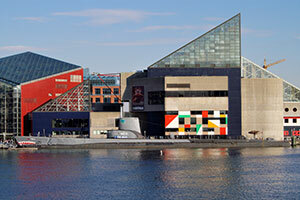 A beautiful color print of Torsk as she appears today at her berth in Baltimore. Printed on high-quality glossy photo paper, and available in three sizes - 4x6, 5x7 and 8x10. Price includes free shipping within the 48 United States. Please contact us for international rates!